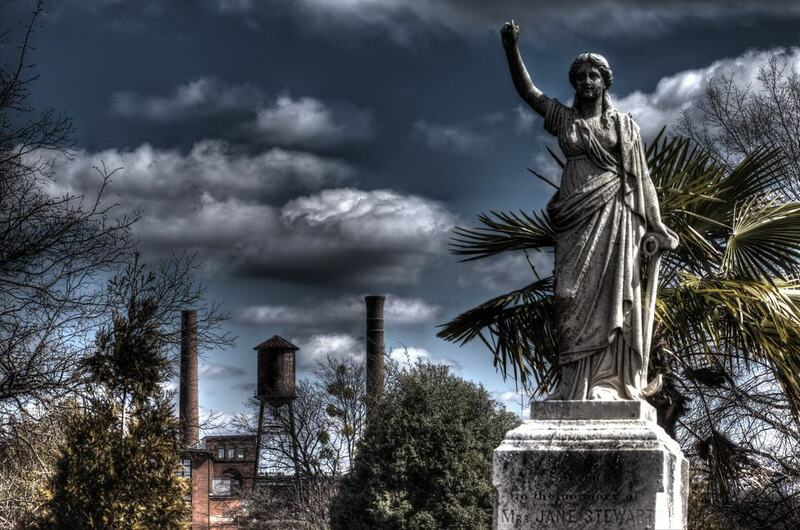 Oakland Cemetery, A Spooktacular Place to Spend Halloween! I have lived in Atlanta my entire life and never knew about historic Oakland Cemetery until this year when I went on a tour. And yes, I feel ridiculous that I never knew this amazing place existed and that it took me this long to see and experience it. I was pleasantly surprised while on the tour and learned a great deal about this enchanting cemetery. I was blown away by the architecture, incredible city views, lush landscaping and gardens and of course, the history behind this peaceful place. I never knew there were so many significant figures who are laid to rest there. The tour guides will not disappoint either. They are super knowledgeable and you can tell have a true passion for the history as they tell the stories. If you are looking for something different to do this Halloween consider the Capturing the Spirit of Oakland Halloween Tour. A dressed up tour guide will give you an hour tour of the lit up Victorian gardens and tell you stories that will seem to come alive and of course, everyone is encouraged to arrive in costume. They also have fortune tellers and live music! This will be a unique experience not to forget! If you can’t make it for Halloween, I would encourage everyone who lives in Atlanta to visit this hidden gem in downtown Atlanta and don’t miss the neat gift shop! They are always hosting all types of fun events at the cemetery including tons of weddings! Who knew?!? For more information check out www.oaklandcemetery.com. This really is a special place in our city that everyone should experience at least once. I promise you will be amazed when you arrive! It truly is a hidden gem in the middle of city that I am grateful I discovered! If you are looking for your own hidden gem around Atlanta, contact The Peters Company today and get connected with one of our spooktacular buyers agents who will be sure to find you that gem of a home! Wishing you a safe and fun Halloween! ← A House Isn’t a Home… Without a Pet!